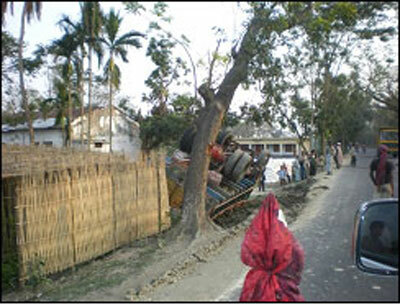 Pastor Stephen Potter one of Mustard Seed Trustees, recently visited Bangladesh. I landed in Dhaka late morning and was taken on a 6 hour drive by car and ferry to Barisal where I spoke at the big Baptist church there. Like so many of the Baptist churches in Bangladesh , this had been fo unded by William Carey nearly 200 years ago. When I woke up on my first morning there I was taken on a tour of the village seeing the damage that had been done to the area by the hurricane ; this trip was on what was called a van a bicycle with a small flat bed area that one or more passengers or goods ! Bangladesh is a stunning place with maybe 60% of the land under water. Its full of rivers and waterways and paddy fields. 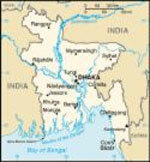 Once outside of the greyness of Dhaka it was a joy to travel and see masses of green paddy fields and water ways. I went to visit a local school where I was garlanded and my way was strewn with marigold petals! 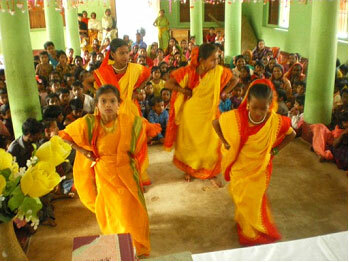 The children performed dances and songs for me and told me about the needs that they had. 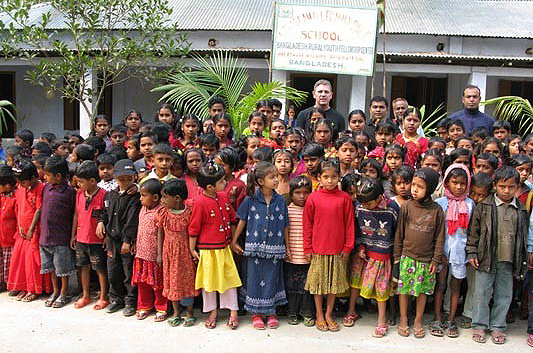 The school had a handful of teachers who were being paid only £12 per month. No modern desks or chairs and a library with no books in it. I distributed school uniforms to the children and they presented me with a wooden bowl and a carved cow feeding a calf. I really felt for that school; I'd love to be able to do something to see the teachers better paid and the school better equipped. The vision is to build a childrens home on the land and a shelter for the surrounding villages when the yearly floods come to this low lying area. Everywhere I went I felt overwhelmed by the sense of need and by the hundreds of pairs of eyes looking at me as though I would be able to bring the answer to their financial needs whether that be the rebuilding of their church after it had been devastated by the hurricane or to provide fertiliser for this years paddy crop. This picture is of a Methodist Church that was devastated by the hurricane. We stood outside it with the forlorn pastor. We recently lost part of our church roof in high winds but there is no facility in Bangladesh for them to just make a claim on their insurance policy. It stays like this until they have the money to mend it.